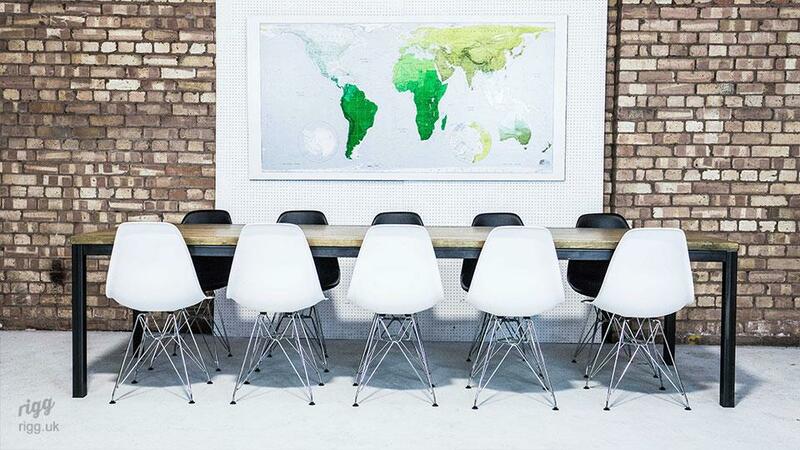 So often, corporate furniture is sterile and characterless. 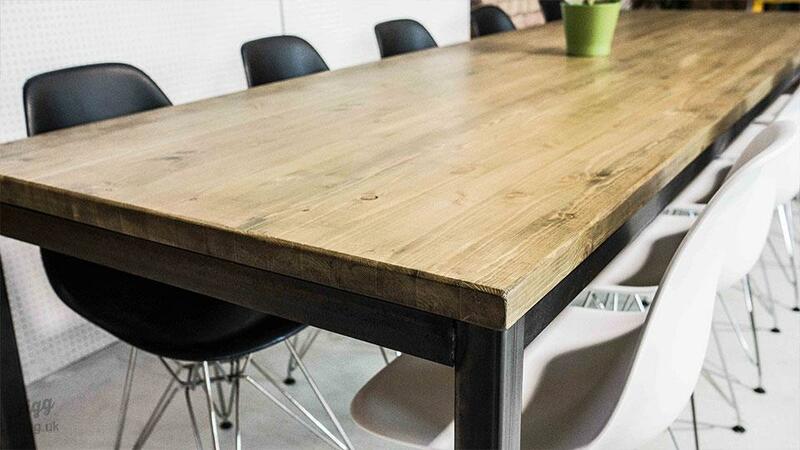 Our vintage industrial boardroom table will add a focal point to your meetings. The sturdy construction creates a feeling of purpose, authenticity and heritage. 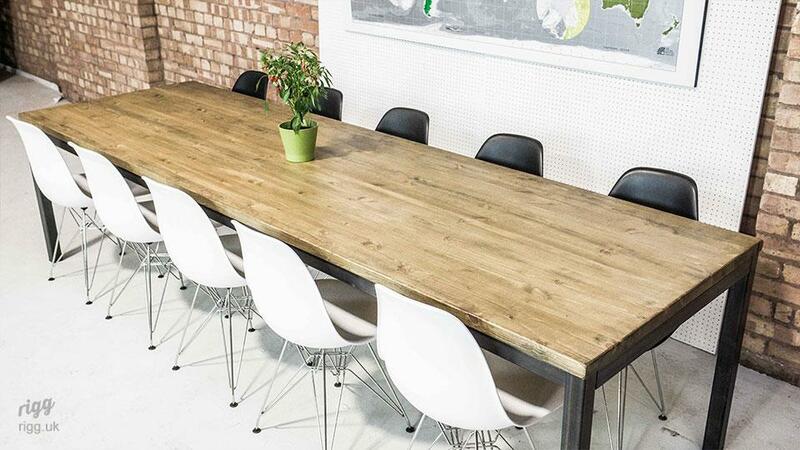 We can make this table in bespoke sizes and in sections for super-large proportions. 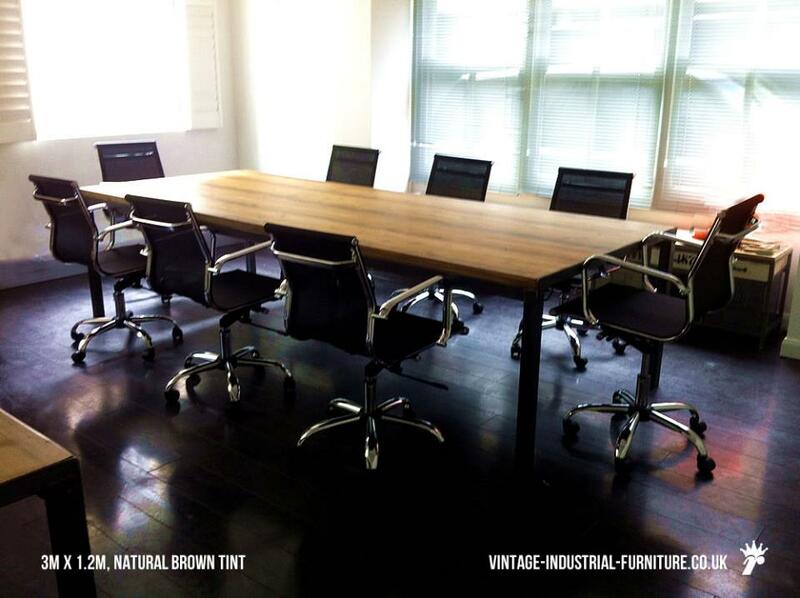 Our vintage industrial boardroom table top is hand finished for a superb satin lustre. 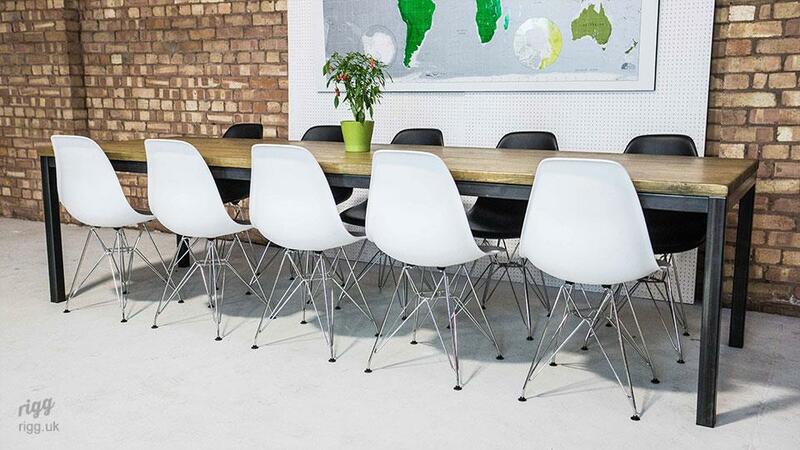 Colours available include the colours shown at the link below and also a distressed black finish. We can also provide vintage style painted finishes such as that on our striped coffee table. For installation convenience, the top of the 3.8m version is in two parts, approximately 1.9m long each, with each half butting-togther in the centre. Please contact us to find our more or to ask about bespoke sizes. 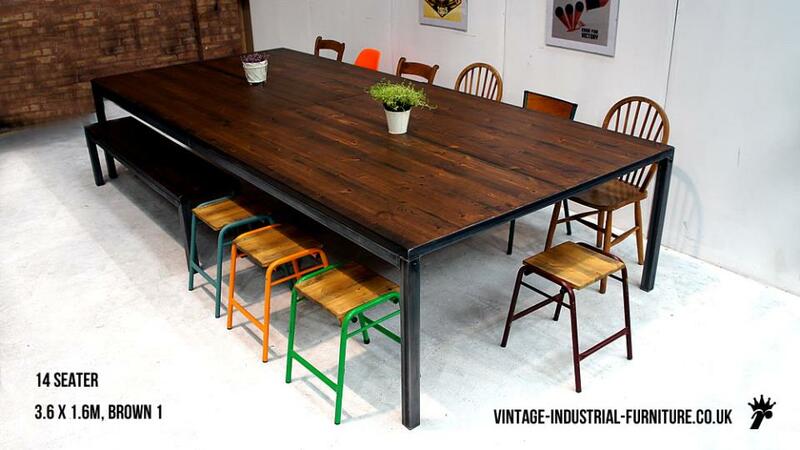 Also, see our vintage industrial dining tables. Prices below include delivery to most UK mainland places.